I had observed that this post on my different social media accounts gained some likes which made me decide to write something about this current promotion. With a minimum of 20 reward points on your phone, you can buy any kind of food available at any local KFC branch. You know what makes this offer so great? 1 point is equivalent to 1 peso! :) To avail this offer, you gotta check your points first by texting BAL to 4438. After that, once you got decided how many points are you going to use, text BUY<space>9175371819<space><your points> to 4438 to pay your meal. If you're points for example still doesn't meet the price of your desired meal, you can add some cash to avail of that said meal. 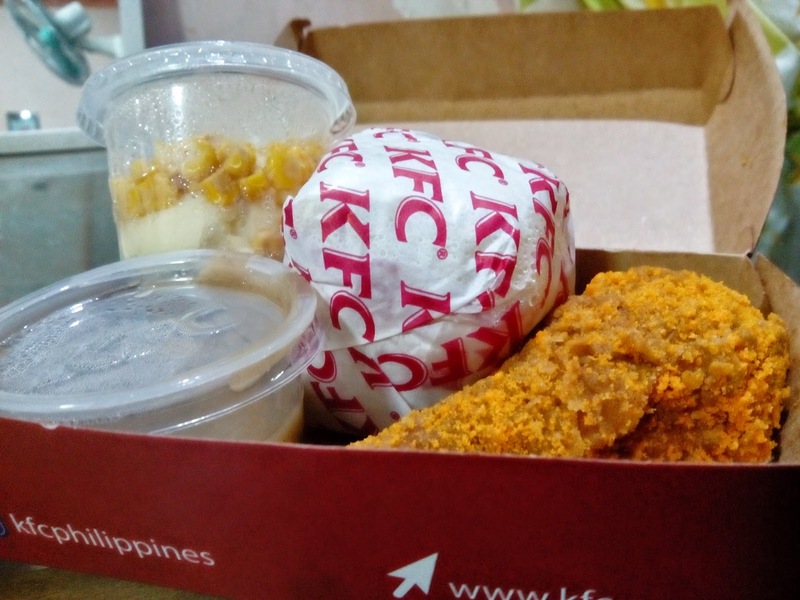 I was so eager to try this new offer from KFC--the Crispy Cheese Chicken topped with Clover Chips for 99 php. I got 115 points that's why I didn't pay anything. 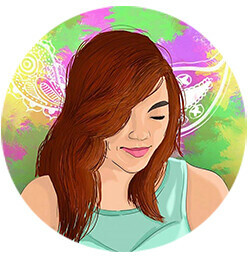 Awesome, right? 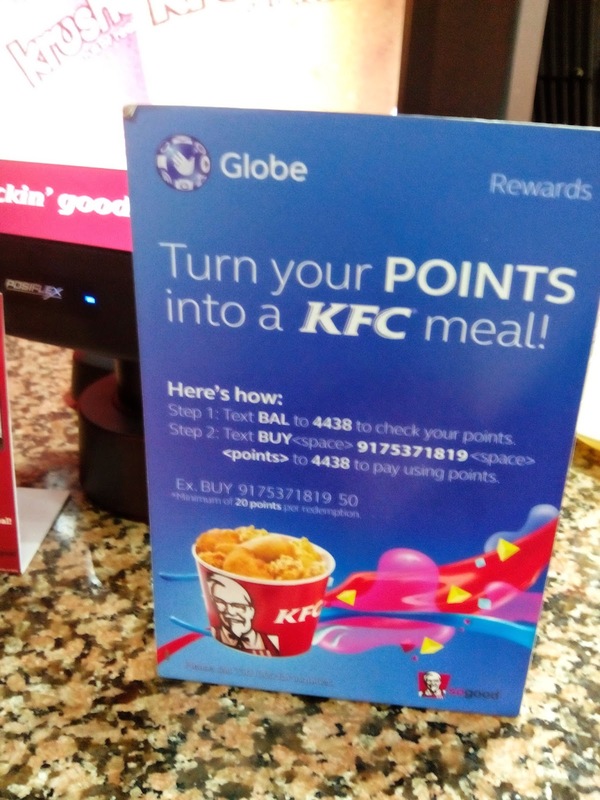 To think that Globe only offers reward points to its clients, I think that this kind of partnership with one of the famous fast food chain in the Philippines is a plus points for them to gain new customers.